Samantha found out that an adult family friend, Amy, did not know how to ride a bicycle. She took it upon herself to write a lesson plan and teach Amy to ride. Samantha told Amy that it was important to learn to ride a bike because “then you are free.” After Amy finished her lessons, Samantha presented her with a completion certificate, declaring her an official bicycle rider. Amy successfully learned how to ride with the help of her young friend and is now bikes regularly, and was the first to register for the Juneau Police Department’s Be Safe, Be Seen program. 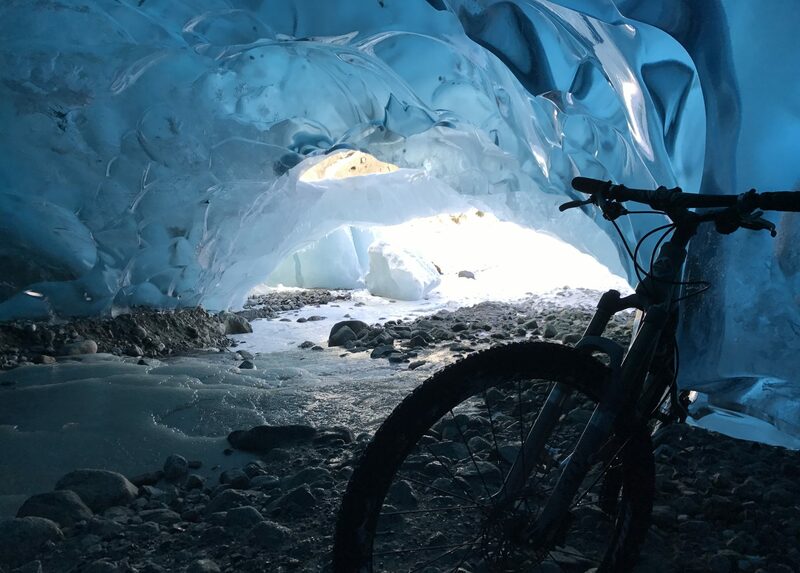 My favorite ride in Juneau is the commute from home to work. I’m lucky enough to live on Douglas and work downtown, so it’s a short and pleasant ride over the bridge. I love the confidence that learning to ride a bike has given me. I never learned how to ride a bike as a kid, in part, because I never thought I could. Once I learned how to ride, I was confident that I could learn to run, and ran a marathon; I was confident I could learn to swim, and am training for a triathlon. Learning how to ride a bike really taught me that I could do anything. For that reason, I am so grateful to Sam for teaching me. Be brave! As a grown-up learning how to ride a bike, the fear of falling down was really hard for me to overcome. But once I realized that even the worst fall only hurts for so long, I was much more courageous and it was easier to learn. Next PostNext Volunteer Opportunity: Count Bike Riders and Pedestrians for CBJ!